Since he was a young boy, Israel Rodriguez-Soto always loved to build and create things. This passion inspired him to pursue a career in the construction industry. 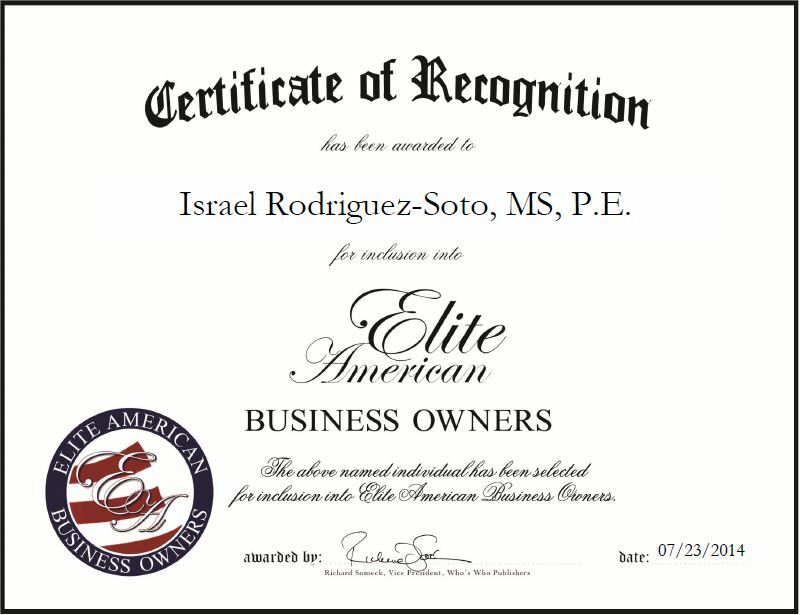 Today, Mr. Rodriguez-Soto has more than four decades of experience in the industry and, recently, established his own company. International Engineering and Safety Consultants LLC is a well-respected construction firm that provides clients with a wide range of services. Mr. Rodriguez-Soto is best known for his project management and program directing skills, and being a cross-culture advocate. In his role, he handles a myriad of responsibilities to ensure his company’s success. He is tasked with managing projects, preparing estimation, supervising sites, selecting vendors, and raising funds for projects. Mr. Rodriguez-Soto believes he has been able to excel in his profession due to his quality work and his education. He is a certified professional engineer, certified OSHA outreach instructor, and certified mediator by the Supreme Court of Florida. In the coming years, he hopes to consult and teach engineers and architects. This entry was posted in Construction and tagged consulting, project management, safety, site supervision. Bookmark the permalink.